When Bill Daem’s wife bent down to kiss her mother good-bye she was startled by the pumping of her mother’s heart. “She’s gone,” the nurse assured her, “That’s just her pace-maker still working. ”On the way home Bill and Evelyn talked about it. What a waste that this expensive, life-saving contraption was going to be buried with the body. (A pacemaker costs from $4,000 to $30,000. After surgery, the total bill will be $35,000 to $80,000.) Consequently, Bill stewed about it for another year or so and then decided to do something about it. In 1994, Bill Daem, with the support of his wife, started Heart Too Heart, a pacemaker recovery organization in Billings, Montana. The money for phone calls, stationery and mailings come from his fire-fighter savings. In addition, there was some goodwill support from individuals and groups. 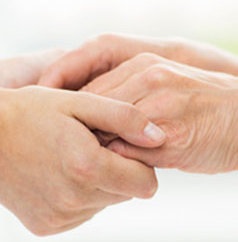 Cooperation from morticians has been encouraging, with over 3,300 pacemakers sent in over the last four years. Some are still new but missing the leads; some were implanted for just ten minutes before death took over. All pacemakers are tested, and only those still operating at 80% efficiency or better will be re-used. The others are returned to the makers for disposal. When it comes to the recycle of medical devices, Bill feels strongly that no money should change hands in the effort to recycle the pacemakers. Recycled pacemakers are not bought, sold, or traded. Instead, they are passed along to doctors who are willing to donate the surgery and medical care for the poor in other countries who receive a Heart Too Heart pacemaker. Pacemakers or defibrillators may not be recycled and reused in the U.S. However, medical devices may be hand-carried by one U.S.doctor to another in a foreign country. Bill is now working through doctors on medical missions and through various church ministries to get pacemakers to Asia, the Caribbean, Africa, Europe, and South America. 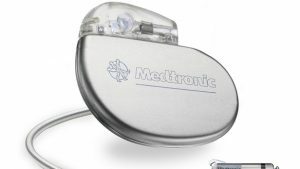 Non-implanted devices such as the telemetry transmitters (for monitoring and resetting pacemakers) are permitted to be re-used in the U.S. But until the Food and Drug Administration approves the reuse of medical devices, the poor in this country will not be able to receive the pacemakers that go with them. By the way, Bill Daem writes a personal “thank you” to the next-of-kin after each donation. Include a return address if you would like a donation receipt for income tax purposes. For more information call 800-648-HEAR. NW, Calgary, Alberta T2N 3T8, Canada. Even if you are covered by medical insurance, getting your company to fork over $4,000 for an insulin pump is almost impossible. Even if you succeeded in getting one, your diabetes specialist probably knows someone who didn’t. Recycling an insulin pump locally—through the doctor who prescribed it—is probably the best way to pass a pump along. A wheelchair, commode, walker, or other medical equipment will be appreciated by others struggling with large medical bills. Therefore, check with your visiting nurse’s association to see who in your area is handling such donations. FCA has devised a red wallet card to carry if you have medical devices that should be recycled after death. Contact information (i.e., the addresses printed above) is on the back for each of the various options. Ask and ye shall receive.